Court costs. In addition to court costs, offender may be charged for police response expenses. Up to 2 years probation. Substance abuse counseling, alcohol and drug testing. License Sanctions: No driving for the initial 45 days followed by a restricted license for the remaining 320 days with installation of a breathalyzer ignition interlock device (BAIID) on the vehicle. Proof of installation of an ignition interlock device is required before a restricted license will be issued. Super DUI (.17% or more) or OWI (.08% or more) are presumptive offenses and guilt is based upon the testing results at or above the legal limits. Actual intoxication or impairment does not have to be proven. Getting a qualified DUI attorney the best course of action if you are facing a SUPER DUI. There is more than just the law involved in the handling of these cases. 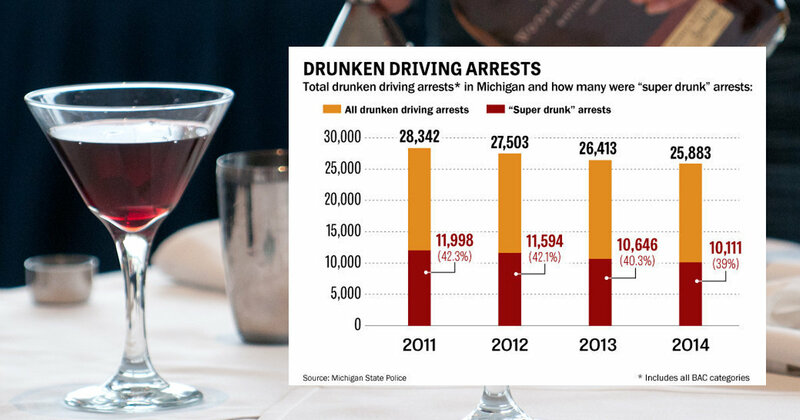 Our Macomb County Lawyers know the law, the science of blood alcohol levels and the policy of the local prosecutors. When the law and science are not in your favor, knowing how to manage a SUPER DUI and obtain plea bargain to a lower charge is our job. Super DUI Conviction Requires Costly and Embarrassing Breathalyzer Ignition Interlock Device (BAIID) for 320 Days! The mandatory requirement of a breathalyzer ignition interlock device (BAIID) device is biggest game changer for drivers charged with a Super DUI. If convicted of a Super DUI, the BAIID is required for a long period of time (320 days), is expensive and embarrassing to say the very least. The BAIID, similar to a portable breathalyzer, is connected to the ignition system and requires the user to blow a breath sample into a mouthpiece before . This will determine the alcohol concentration level within the body. If the user’s BAC is .025 or higher, the BAIID equipped vehicle will not start. An ignition interlock device costs approximately $65.00 to $90.00 per month. Other costs associated with BAIID devices include the installation and removal fees. The Secretary of State has a list of approved BAIID installers. Tampering or circumventing the BAIID. Getting an attorney is your best bet if you have been charged with a Super DUI/Operating with a High BAC of .17 or More! Getting charged with a Super DUI does not mean that you will get jail or get jammed up with a Super DUI conviction. ABDO LAW has adopted an aggressive approach in the defense of all drinking-drugged driving cases. We may require our clients obtain a substance abuse evaluation, begin a substance abuse or alcohol counseling program and obtain character letters as part of our format to get a Super DUI under control. *There are several benefits when a Super DUI is reduced to impaired driving: driver’s license sanctions are substantially lessened (90 days restricted for impaired instead of 365 days of license sanctions associated with a Super DUI with the BAIID requirement for 320 days), lesser fines, less points and a reduced charge reported to insurance companies and placed on your criminal record.